It is something of an irony that in the very year Apple becomes the richest company in the USA with $76 billion dollars of cash reserve that its founder and CEO Steve Jobs should pass away. Both events mark key moments in the history of a company that was close to bankruptcy in the mid-1990s, at a time when Steve Jobs himself was absent from Apple. While Apple’s recent successes should not be disregarded, they are quite similar to those that were seen with the Apple II and Apple Macintosh in the 1980s. Despite the reaction to the famous 1984 Super Bowl advert that launched the Macintosh, Steve Jobs was soon ousted from Apple and the company began a slow decline that only ended with his return 11 years later. Success and failure go hand in hand in life and business. Everything might look rosy for Apple today, but with Tim Cook now finally able to step out and lead Apple without the world thinking that Steve Jobs is still pulling the strings, he must realise that he has a massive task ahead of him. Making Apple this successful took considerable leadership and vision from Steve Jobs. Keeping Apple where it is today will take an effort of equal or greater proportions. 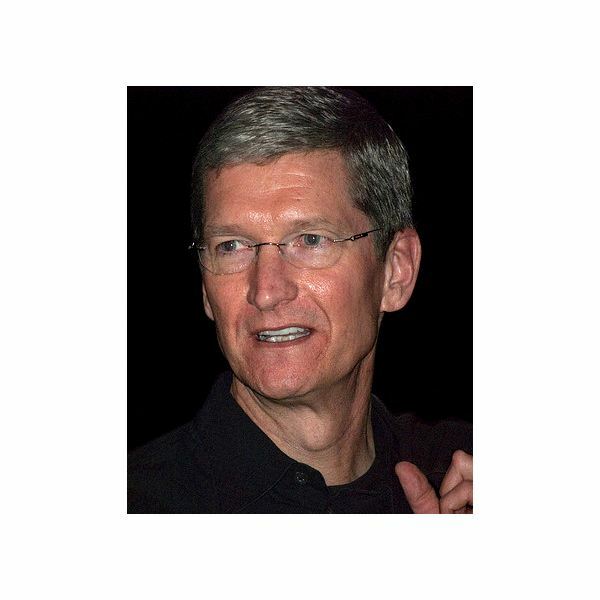 We can’t talk about a man like Tim Cook without getting an idea of who he is. Prior to joining Apple in 1998, Cook was VP of Corporate Materials at Compaq, and on joining Apple he set about streamlining the company’s wasteful supply chain. This move resulted in Apple being able to recover from their 1990s slump, and Cook was eventually rewarded with the role of Chief Operating Officer in 2007, following a brief stint as CEO when Steve Jobs was recovering from pancreatic cancer surgery in 2004. The Apple board turned to Cook once again in 2009 and 2011 to keep things going while Steve Jobs took further leave, and of course he was appointed CEO full time following Jobs’ resignation in August 2011. With his sound business mind and ability to make decisions that have contributed to the success of Apple, you might consider Tim Cook to be more of a Steve Ballmer than a Steve Jobs. Clearly, he’s a man who knows the importance of keeping a business lean. Tim Cook also knows how to make tough decisions. But, from past appearances, he is not a visionary techno-prophet – he’s a pure businessman. So can he keep Apple profitable and successful? To get an idea of just how Tim Cook is different to his predecessor, let’s take a quick look at a few notable facts about Steve Jobs and his time at Apple. With Steve Wozniak, Jobs formed the company out of a garage in 1976, selling the Apple I to a local dealer and building the devices with a small team with components purchased on credit. His entrepreneurial spirit was unrivalled among his contemporaries – it wasn’t long before he was a millionaire and Apple was one of the major names of the 8-bit computing revolution of the early 1980s. As a character, Jobs was once described as “non-linear,” keen on long nightly and early morning meetings during his initial spell as Apple chief. Beyond that, however, he was an innovator, and understood the technology market completely. He wasn’t a technician (in the early days, the design and much of the construction work was left to Steve Wozniak to manage) but he was a visionary who commanded considerable respect within Apple, NeXT and Pixar, not to mention the industry as a whole. Steve Jobs didn't just leave huge shoes to fill, he left a massive shadow over Apple. Can Apple Survive in a Post-Jobs World? When Apple previously tried to get by without Steve Jobs, they struggled. In an interesting turn of events, Jobs appointed PepsiCo President John Sculley as Apple CEO in 1983 (with Jobs famously asking if he wanted to "sell sugar water for the rest of your life or come with me and change the world?") yet two years later a power struggle between the two resulted in Jobs being ousted from the company that he founded. Between Steve Jobs leaving Apple and returning in 1996, the company floundered while Jobs was busy with his object oriented software development company NeXT, which was purchased to bring Apple’s founder back into the fold (the NeXTSTEP platform eventually became Mac OS X). Failure to protect innovations such as the mouse driven GUI (which was soon copied by competitors) lead to Apple and its two incompatible platforms, Apple II and Apple Macintosh being disregarded by both business and domestic users in favor of IBM PC compatibles and the new Atari and Amiga computers. Things looked bad and by the early 1990s Apple was flirting with both IBM and Sun Microsystems with an aim to being bought out. The only success from an era that saw the launch of the failed Newton PDA was the development of the Power Macintosh computers, which used IBM’s PowerPC processor. Apple struggled for survival in the 11 years that Steve Jobs spent away from the company. There is no reason why this time around they shouldn’t ultimately survive: Tim Cook is obviously more than competent. But let’s not disregard the skills of John Sculley or his successor, Gil Amelio. These guys were nobody’s fools, yet they each failed to fill the Steve Jobs-shaped void. A realistic look around at the world we currently live in will reveal various factors that are going to hit Apple and the producers of other mobile technology over the coming years. Endless rounds of patent-protecting litigation by Apple and counter claims by its competitors look set to drag the once mighty name of Apple through some potentially embarrassing court appearances if the cases aren’t favorably settled (something that doesn’t look likely where Samsung is concerned). Throw in Steve Jobs’ claim that “I'm going to destroy Android, because it's a stolen product,” (revealed in Walter Isaacson’s authorized biography) then you suddenly get a picture of a company that is on a big revenge mission. The litigation suddenly makes sense, especially when you consider that Google’s Eric Schmidt was on the Apple board prior to Android being released. Tim Cook needs to think about what is coming from a market, legal and PR point of view and prepare the company. He needs to be as steadying an influence as John Sculley while still leading Apple into developing groundbreaking technology. If he fails, Apple just might too; and this time, they won’t be able to bring Steve Jobs back.